Each of us mourns the death of a loved one differently. While some people attempt to cope with their grief by themselves and do not want or need outside assistance, many others seek and find comfort in sharing the pain, anger, depression and other emotions they feel following a loss. 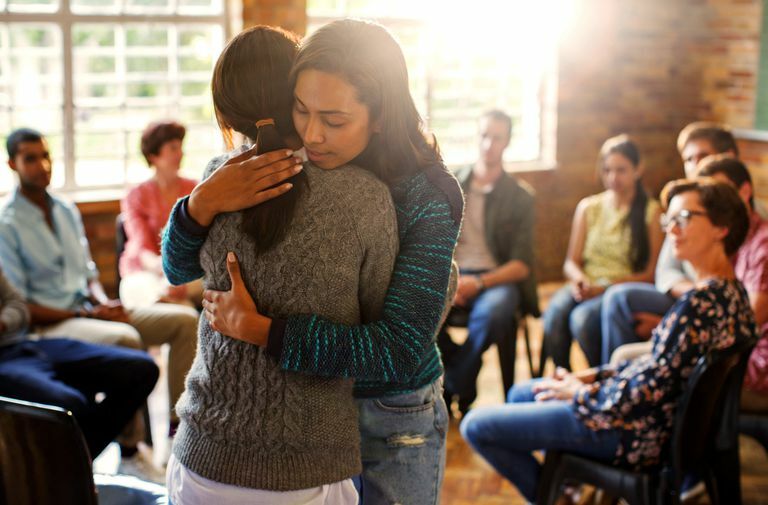 This article provides a list of grief and bereavement support groups and organizations that offer nationwide grief support and recovery services, information and other resources to help the bereaved. Moreover, this list is not comprehensive. The groups and organizations shown below appear here because they offer assistance regardless of where you live. Therefore, you should also search for grief, loss and bereavement support and recovery groups in your community. These meetings are often held in churches, community centers, hospitals and healthcare clinics, funeral homes, school gymnasiums and other gathering spaces. If you cannot locate information about a grief support and recovery group in your community online, then you should contact a local funeral home for suggestions. Finally, every listing/URL below is accurate as of the date at the end of this list but, unfortunately, Internet links can change. Note: Many LGBT bereavement support groups operate locally, and you should search for one in your area. 09/17/2015: New groups added and all links verified. 09/23/2014: New groups added and all links verified. 01/03/2014: New groups added and all links verified.